Matches will be played across 4 or 5 full size pitches. Teams can include 15 players, but only 12 players can play in any given match. Rolling substitutions will apply throughout the competitions (except in elite competition). 7 minutes each way in the pool stages and 10 minutes in the finals. Teams will have at least a 20 minute rest period between matches. All matches are overseen by fully qualified London Society referees. 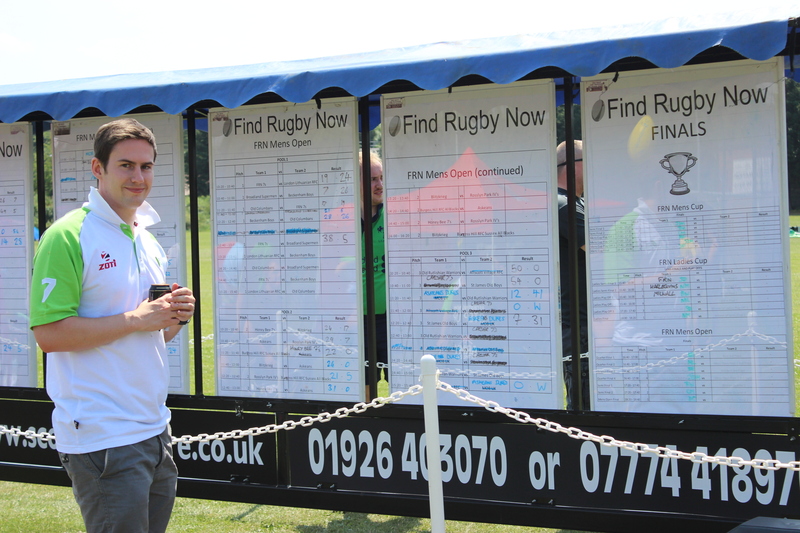 Find Rugby Now 7s will include a men’s elite and/or open, men’s social, women’s elite and/or open and women’s social competitions. There will be winner and runner-up prizes in each category. The Tournament will be conducted entirely under the control of Find Rugby Now (hereafter referred to as “FRN”) whose decision, in all matters, is final. In the event of any complaint arising from any game the Tournament Manager’s decision (which may be made with input from the Referee Manager and FRN) will be final. 1. A representative of each side must report to the Registration desk 30 minutes before the start of the tournament and supply the names of all players in the squad to FRN. 2. A maximum squad size for the tournament of 15 players is in place. For each game a maximum of 12 players will be permitted to play, seven (7) starting the game and five (5) substitutes. 3. All teams should try and bring an alternative strip in case of a colour clash. 4. 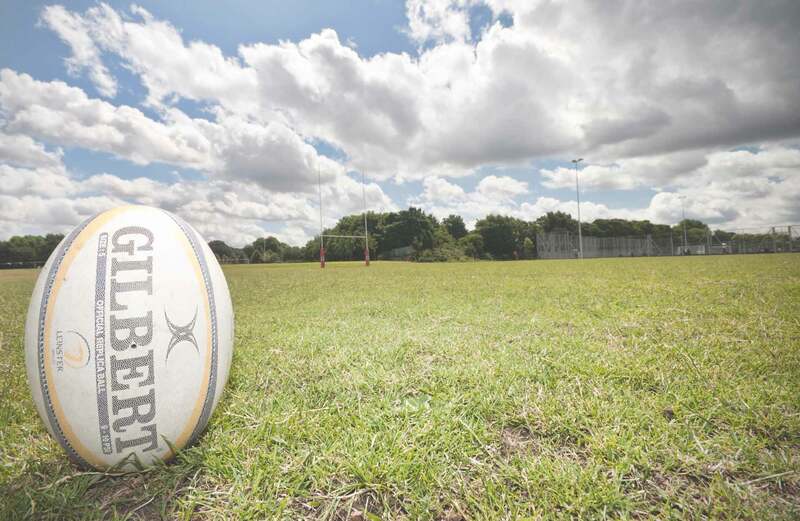 All players must have adequate playing insurance through their team (standard RFU insurance is a minimum requirement). 5. The Team Captain will be called to the centre of the pitch prior to the start of each game for the toss up for kick-off, or choice of ends. Failure to attend will result in the team being deemed to have lost the toss. 6. Each team must provide a Touch Judge for each of their games. 7. Games will start at their allotted time and late arrival at the pitch ultimately risks disqualification. If any team is going to be late arriving at the grounds they must telephone the Tournament Manager, Ellaine Gelman on 07875721986. She will endeavor to reschedule games but there will be no guarantee of this. 8. In the Pool games 3 points will be awarded for a win and 2 points will be awarded for a draw and 1 point for a loss, 0 points will be awarded for a no show or a referee’s disqualification. 9. The draw will be made available on the day of the competition. 10. The Organisers, their employees or their helpers cannot be held responsible for any loss, or damage, to any individual’s property or valuables. It is the responsibility of the Team Captain/Manager to make appropriate arrangements. 1. Games will be played under the IRB Laws Standard set of variations for Sevens and any RFU Law Interpretations/Variations for the season 2019/20. Each item of protective clothing, padding or likewise, must conform to IRB Laws. 2. Each game will be played for 7 minutes each way with a 1 minute half-time except for the Final which will be 10 minutes each way. No extra time will be played in the pool rounds of the Tournament and matches will be left drawn. 3. In the knockout rounds if, at the end of normal time, neither side has won, Captains will toss for the right to kick off or choice of ends and play will continue in periods of five minutes, changing ends after each period without further interval with the first side to score being declared the winner. 4. There will be rolling substitutions throughout the matches (except in the elite competitions). 5. In the event of a sending-off (red card), the team plays with less than 7 players for the rest of that game. The team is, however, allowed to start with 7 players for the subsequent games. 6. The use of Temporary Suspension (yellow card – Sin Bin) for 2 minutes will be in force. (a) If a pool game, then the pool game is considered as abandoned by the referee and points awarded accordingly. (b) If a knock-out game, the other side goes through.